Wintry conditions are expected to continue tomorrow as the MetService predicts light snow flurries to 100m in Dunedin and other parts of the South. MetService meteorologist Angus Hines said a new front was expected to bring "very cold air" over the bottom of the South Island late tonight and early tomorrow morning. While the front was cold, it was "reasonably dry", which meant only snow showers were expected and there was unlikely to be significant accumulations of snow, Mr Hines said. However, snow was expected to fall to 100m in Invercargill, Dunedin and could have an impact on some roads. 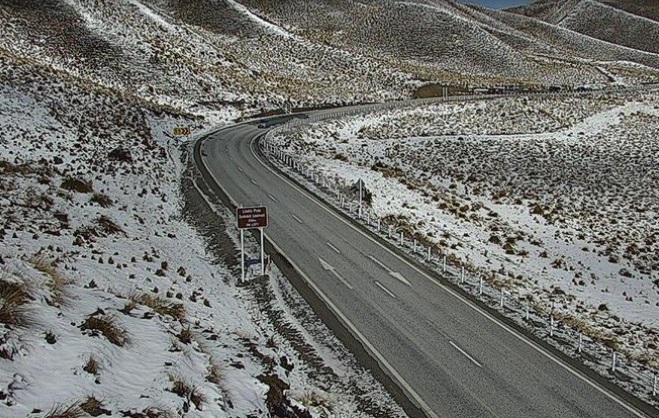 There was no snow warning for SH1 between Dunedin and Waitati because the direction and vigour of the front meant it would be sheltered from snow. Asked why the snow predicted for Dunedin last night did not eventuate, Mr Hines said the previous front was "hit or miss". Snow fell in some isolated spots, when it was raining or dry nearby. WeatherWatch is also predicted snow to 100m to 200m as the coldest part of the front hits the lower part of the South Island. "There isn't a huge amount of moisture in the coldest portion of this event but the wind chill factor and misery index will be tough for newborn stock even if any snow is short lived or isolated lower down." The South also looks set to be battered by strong winds today as a wintry blast makes its way up the country. A deepening low just east of the South Island and associated fronts are moving slowly east, spreading strong cold southwesterlies over much of New Zealand today. MetService has issued a severe weather watch for Dunedin, North Otago, Clutha, and southern Southland, advising that cold southwest winds may approach severe gale in these areas at times from this afternoon. In the far south, the gales were expected to be accompanied by wintry showers, but significant snowfall was not expected, MetService said. Some North Island areas are also in line to be hit by gale-force winds today. The forecaster had earlier warned of possible heavy rain in North Otago and heavy snow in parts of Canterbury, but these watches have been lifted. 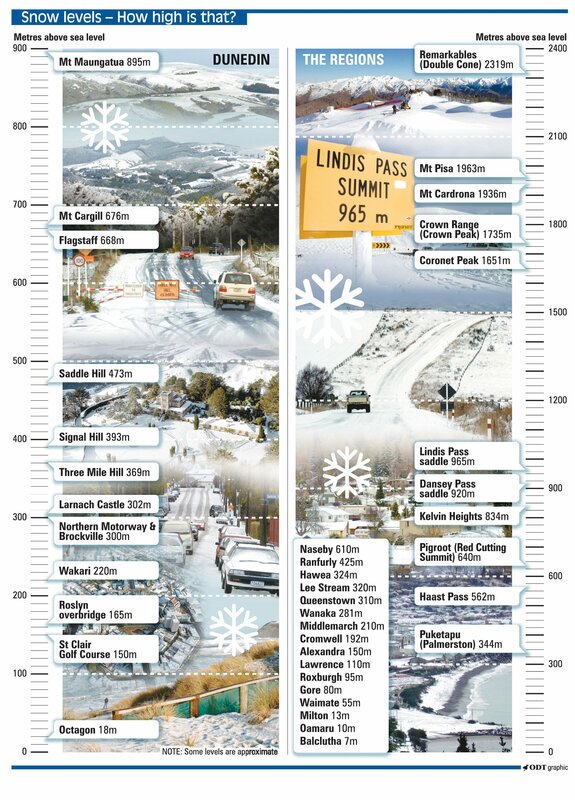 Some alpine passes copped a dusting of snow overnight, but not enough to affect motorists. MetService says there could be snow to 100m in some places overnight on Tuesday, rising to 400m tomorrow.